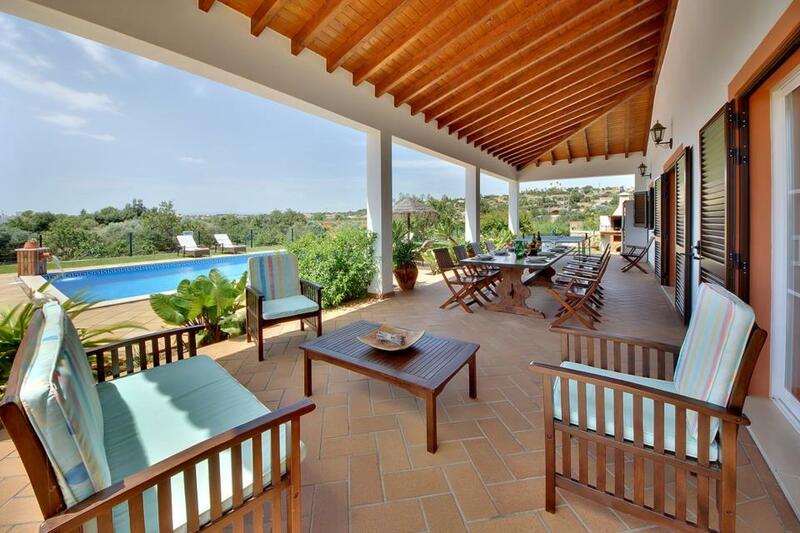 Nestled in a mature, private Mediterranean garden, this handsome villa is within walking distance of the lovely sandy beaches of Castello and Evaristo. 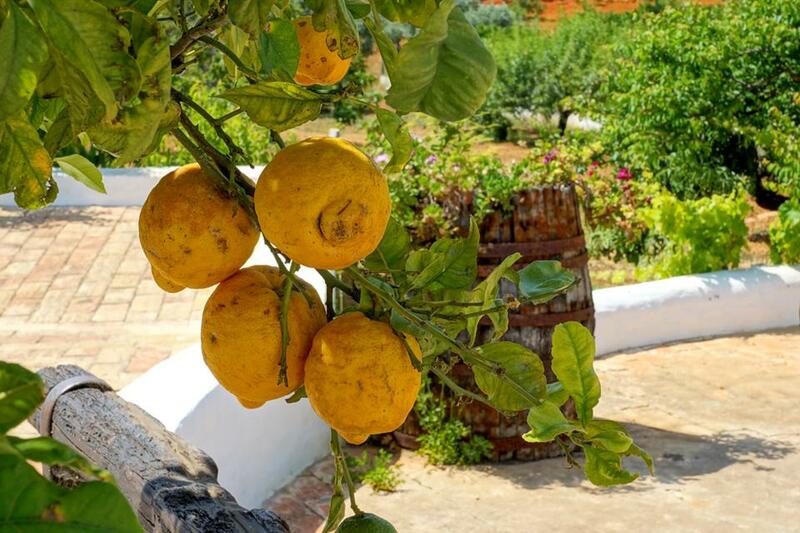 Villa Monte de Madrinha is nestled within a Mediterranean garden of lemon trees and tropical plants. 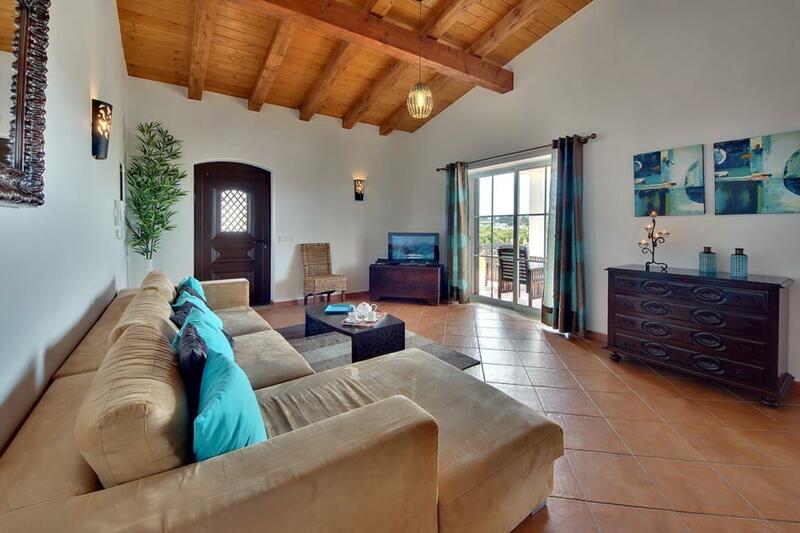 With a simple, Spanish design on one level, this four-bedroom holiday home has a relaxed aura. The pool is sparkling blue with byzantine tiles bordering the edges. 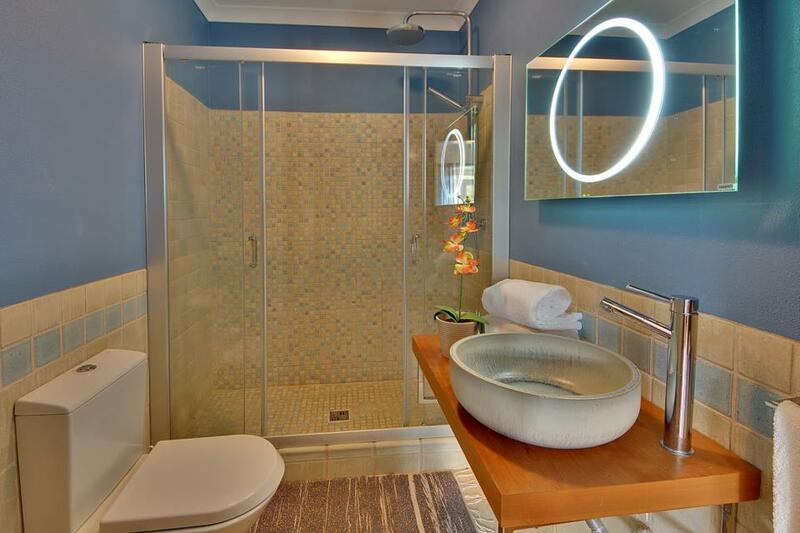 A refreshing water fountain cascades into it, the perfect spot to cool off from the sun’s rays. Traditional, thatched parasols are dotted around the pool, resting over rattan sun loungers. 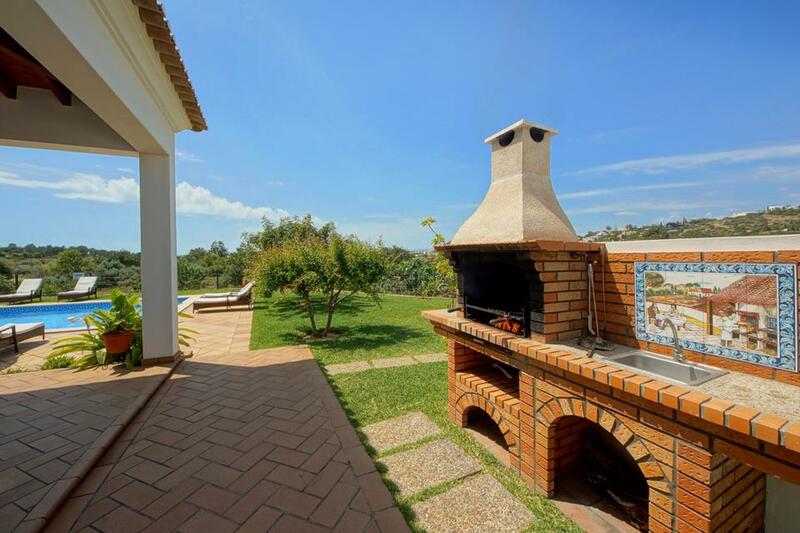 A purpose built, tiled patio houses a lengthy, outdoor dining table for up to eight guests. What a superb spot for all the family to gather and enjoy a feast together! 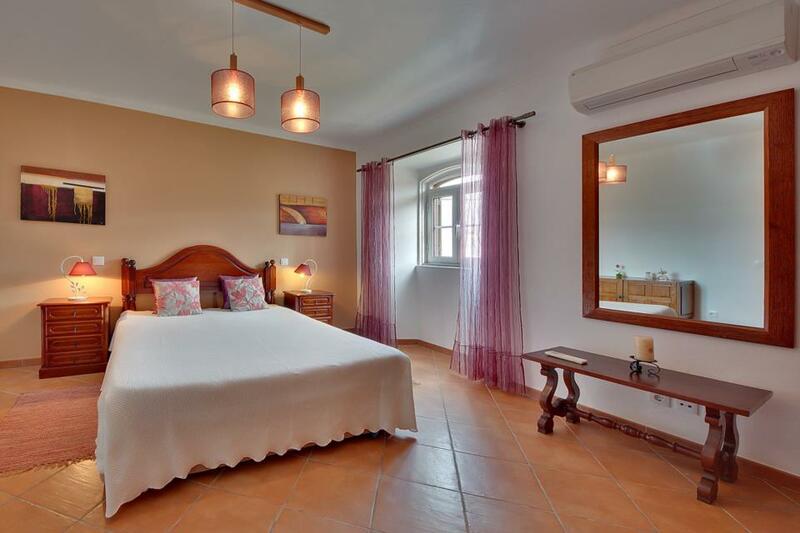 The villa interiors are beautifully maintained, with warm wooden ceilings, terracotta tiled floors and whitewashed walls in the main living areas. 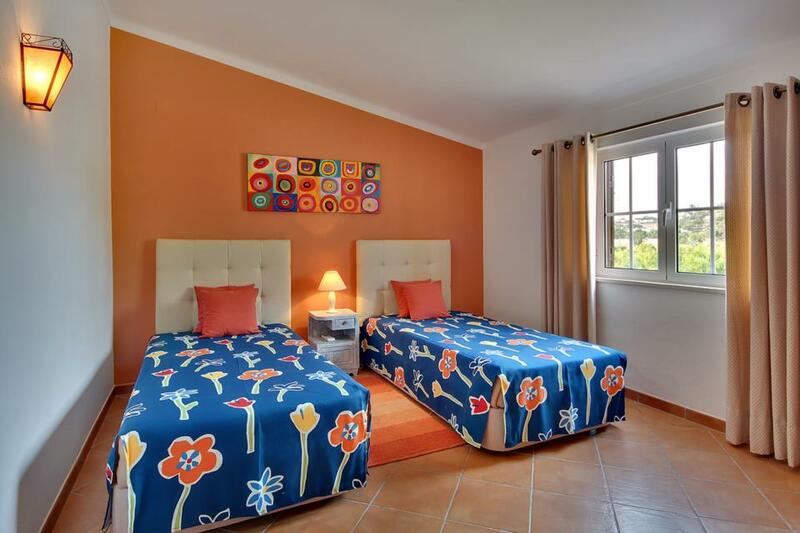 Wooden carved furniture offers a homely vibe and each bedroom has been individually themed. 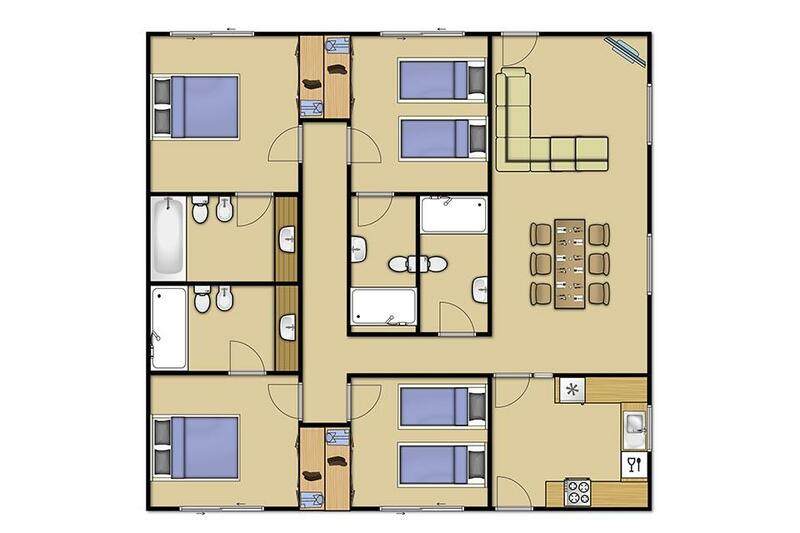 Two double bedrooms and a twin bedroom have ensuite bathroom facilities and there is a further twin bedroom and shower room. 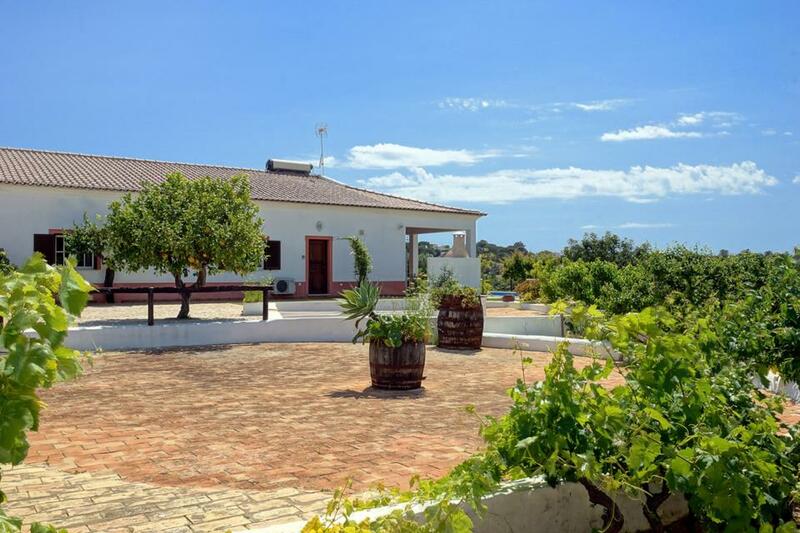 The villa is perfectly positioned, within walking distance of both of Castello and Evaristo beaches in Gale. Castello is a lovely, enclosed bay with a beach café and sun loungers to hire. Evaristo beach is a Blue Flag beach, hugged by sandstone cliffs, which gives it a private appeal. You can hire pedalos here and head off into the glistening ocean. Villa Monte da Madrinha is over one level, with the entirety approach to the front door being flat, the front door has a width of 72cm, the Villa has no internal steps in and around it, Villa Monte da Madrinha comprises of four bedrooms three of which are en-suite all bedroom doors are the same width which is 68cm all en-suite doors are 68cm, the none en-suite bathroom is located away from the bedroom and also serves as the main villa bathroom, and has a width of 64cm. The approach to the pool area comprises of one step down, entry into the pool is via 4 roman style steps at the shallow end which is 80cm there is no ladder or steps to use at the deep end which is 170cm. Superb villa. Superb location. Maid and garden maintenance service excellent. Swimming pool was brilliant. Would book this villa again. ideal location for family holiday including 8 month old baby. Supermarket well stocked across the road, easy ride to beach. Lovely local restaurants. All facilities including dishwasher, washing machine and barbecue when we did not want to eat out. Would stay again. Villa Monte de Madrinha was fab with excellent views all around. Very quiet & peaceful surroundings. The villa was clean and well maintained with lovely friendly cleaning staff, who did an excellent job. The beds were comfortable and the showers were to die for, the best I’ve ever experienced. The pool area was the best I’ve experience with fab comfortable sun loungers. 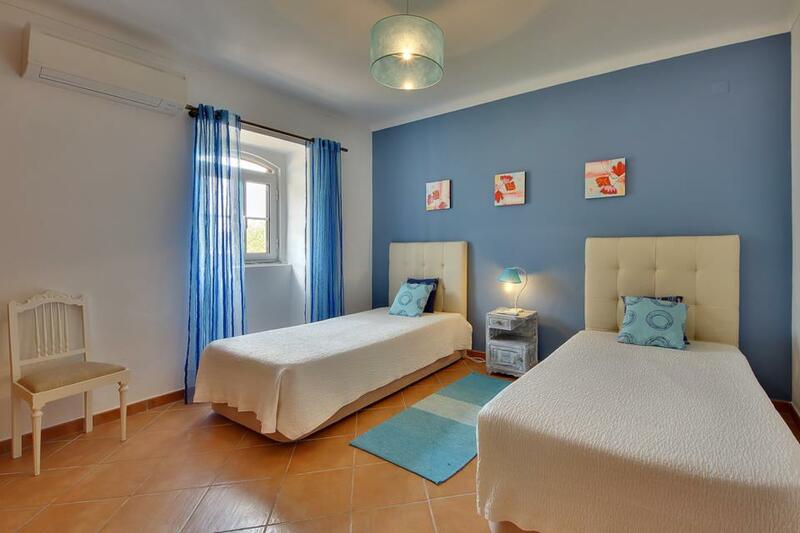 If you want a relaxing holiday with no hassles then Solmar Villas are the company to use. We got shut out of the villa on our arrival, one phone call & within 10 mins later we were back in! !what a service 10/10 Two fabulous supermarkets close by Spar just across the road and Oceano Just around the corner, both well stocked and friendly staff. The nearest beach is Costello which is about 25min walk, lovely little cove. Gale beach is also lovely a lot bigger & about a 40min walk, well worth it though. This villa is a real gem & we will definitely will be returning. Thankyou Solmar Villas yet again. Villa was superb. 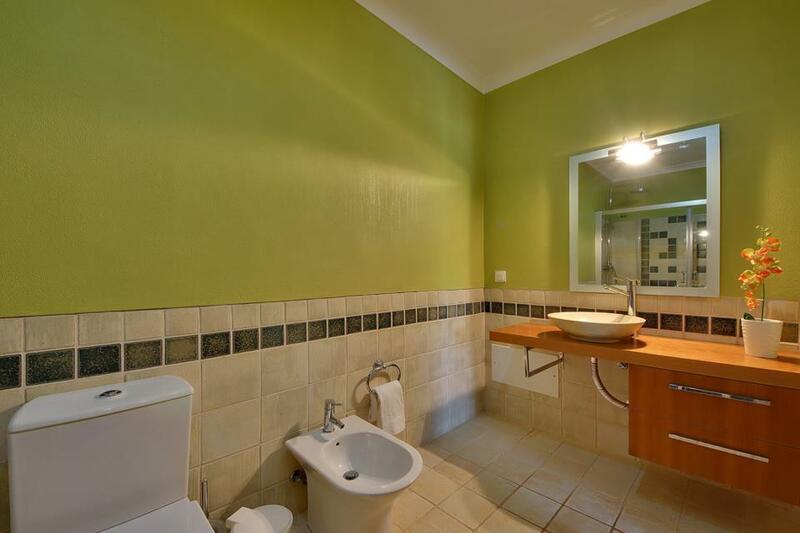 Immaculately maintained gardens with a real sense of space. private secure parking (could have got 6-7 cars on the drive it was that big). The outside area was fantastic; real robust quality outside furniture. 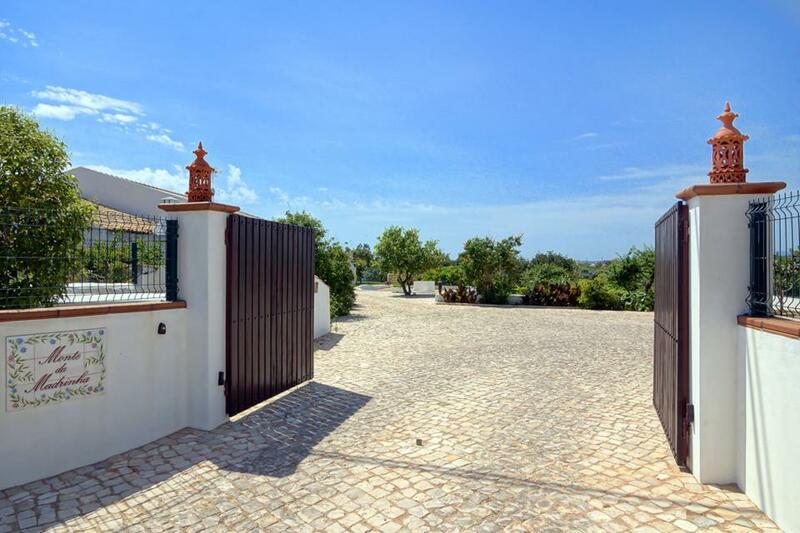 A great location just a 10 minute drive from Albufeira. This villa was spacious and well kitted out. All the little details had been thought out and provided for. 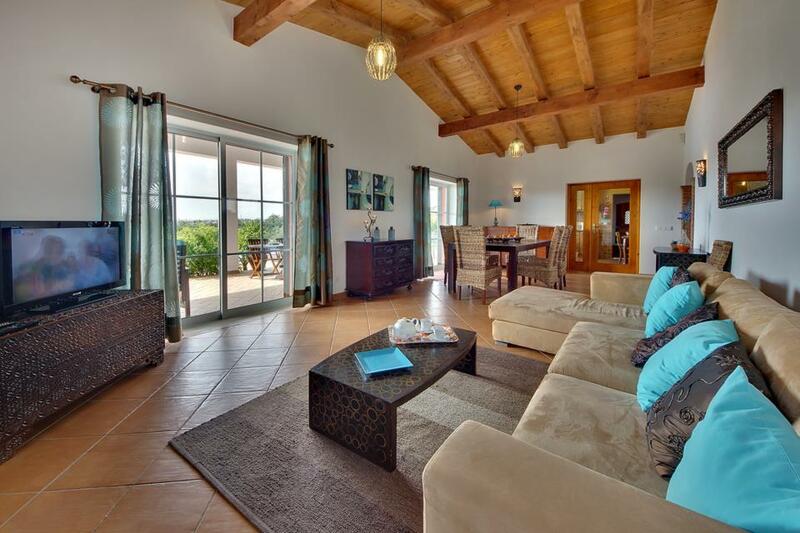 A well-furnished, well-equipped villa with a lovely garden and a fantastic pool. Regular maid and pool service. Lovely beaches in interesting coves close at hand. Overall our villa was brilliant, the bedrooms were very spacious and the bathrooms were excellent, especially the large walk-in showers. The large outside living area was definitely a plus as was the size of the pool, which proved great fun for the kids and adults alike. The kitchen was perfect and the Wifi was very good also. Villa was nice, but the area wasn't particularly good. Nice pool. The location of the villa was very good, being close to multiple beaches, although not close enough to walk. Having a Spa shop opposite was very handy. Villa well equipt and very clean with cleaner coming in 3 times (including change over day) to keep villa spotless. The sunbeds were fantastic, the best i have used in 30 years. 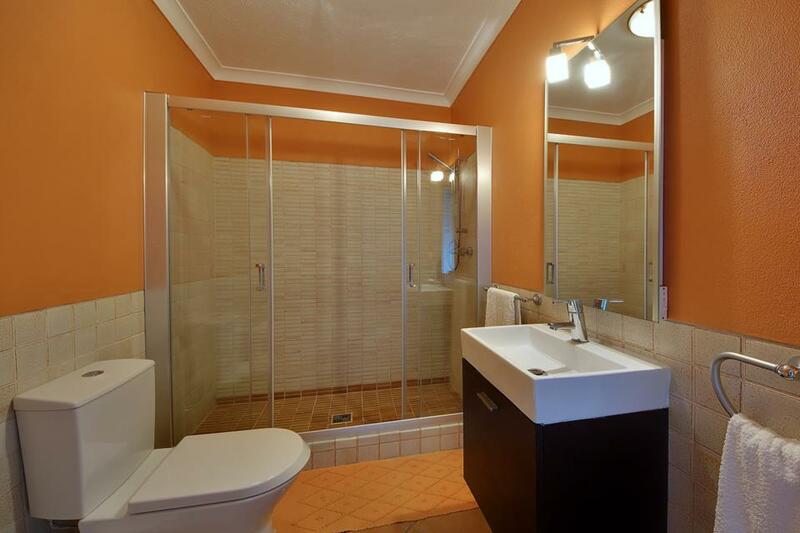 Everything you need is close by - Restaurants, Supermarkets, Chemist, Beeches. Villa well equipt and very clean with cleaner coming in 3 times (including change over day) to keep villa spotless. The sunbeds were fantastic, the best I have used in 30 years. Everything you need is close by --- Restaurants, Supermarkets, Chemist, Beeches. The villa was absolutely wonderful in all aspects. Pool area was great, bedrooms and bathrooms were spacious and the maid and gardener were frequent and pleasant. The kettle broke during our stay but after a quick call to Solmar a replacement was brought out to us. The resort was lovely. Our stay at the villa was extremely comfortable and very enjoyable. 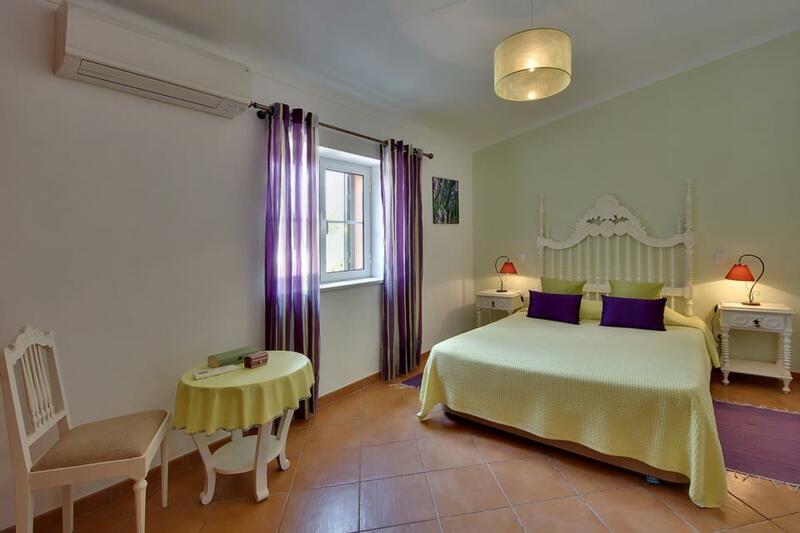 The accommodation is spacious, beautifully furnished with a well stocked kitchen with plenty glasses, plates and pots. The rain showers are excellent as are the sun loungers provided by the pool. Our 2 kids loved the pool and it was a good depth to allow our 5year old to be in pool without being held by an adult. The outside space is amazing with the best views of the sunsets. We had a maid visit 2x in the week which was maybe not required but the lady was lovely and we loved a chat with her. The local area has a lot going for it without being too busy or commercial. We'd highly recommend solar des oliverais (think that's the spelling!) a 5 min walk away for a beautiful meal with an extensive menu. The hostel near to the spar shop (which is handily across the road) is very deceptive and an absolute little gem. The bar provides excellent food drink and service. Although it's a hostel it has a very upmarket feel to it was very friendly staff. Worth a visit! Finally we spent alot of time at scoobys pool bar nearby because the kids loved it due to the pool, play park n crazy golf. We loved the villa, area and Portugal and hope to be back in the future. The villa was absolutely wonderful in all aspects. Pool area was great, bedrooms and bathrooms were spacious and the maid and gardener were frequent and pleasant. The kettle broke during our stay but after a quick call to Solmar a replacement was brought out to us. The only downside I can think of is the wifi. It only lets 5 devices on it at a time and with a party of 8 adults this could sometimes be a pain. The resort was lovely. Our stay at the villa was extremely comfortable and very enjoyable. 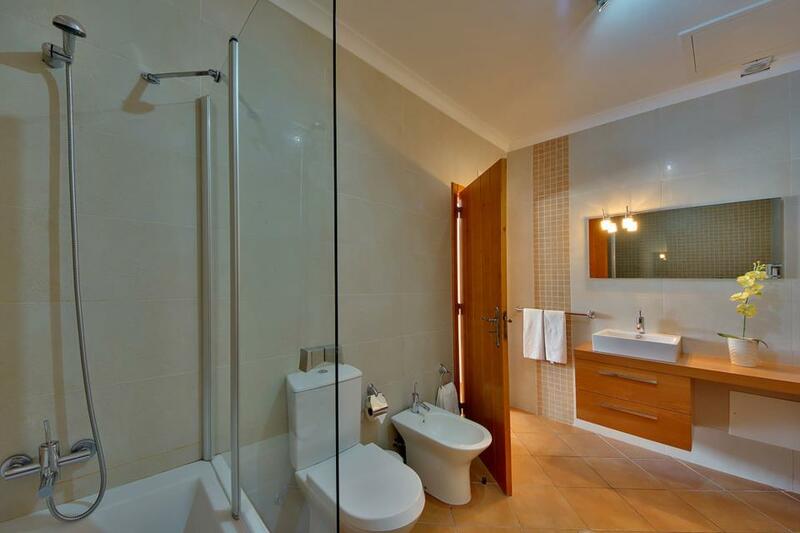 The accommodation is spacious, beautifully furnished with a well stocked kitchen with plenty glasses, plates and pots. The rain showers are excellent as are the sun loungers provided by the pool. Our 2 kids loved the pool and it was a good depth to allow our 5year old to be in pool without being held by an adult. The outside space is amazing with the best views of the sunsets. We had a maid visit 2x in the week which was maybe not required but the lady was lovely and we loved a chat with her. The local area has a lot going for it without being too busy or commercial. We'd highly recommend solar des oliverais (think that's the spelling!) a 5 min walk away for a beautiful meal with an extensive menu. The hostel near to the spar shop (which is handily across the road) is very deceptive and an absolute little gem. The bar provides excellent food drink and service. Although it's a hostel it has a very upmarket feel to it was very friendly staff. Worth a visit!! Finally we spent alot of time at scoobys pool bar nearby because the kids loved it due to the pool, play park n crazy golf. We loved the villa, area and Portugal and hope to be back in the future. 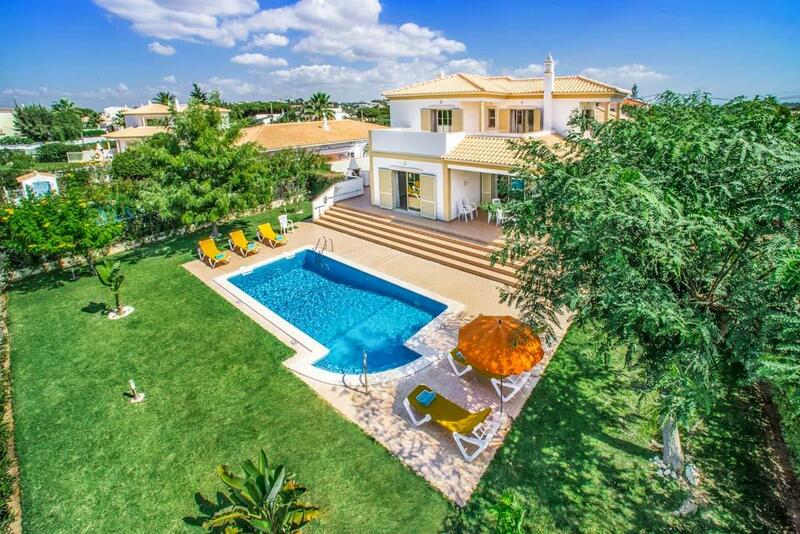 Great sized villa with a super pool area. Shops and several restaurants in walking distance. A lovely well presented villa with great pool. Loved the gardens and terrace. Villa was spacious, well equipped and had a really large covered area which provided welcome shade breaks throughout the day. We are 4 women in our 50's. We loved absolutely everything. Villa was spotless, very spacious, both indoors and especially the pool area. The terrace was just amazing. 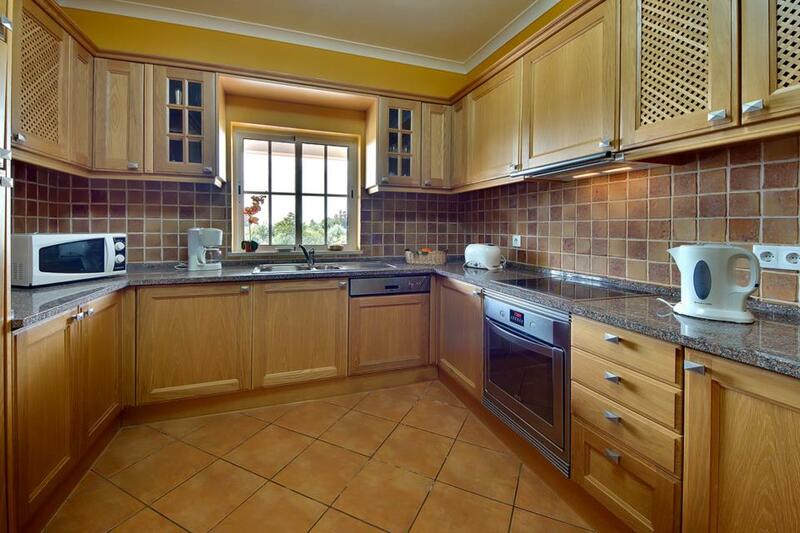 Fantastic location with wonderful countryside views. Rated: Excellent. We are 4 women in our 50's. We loved absolutely everything. 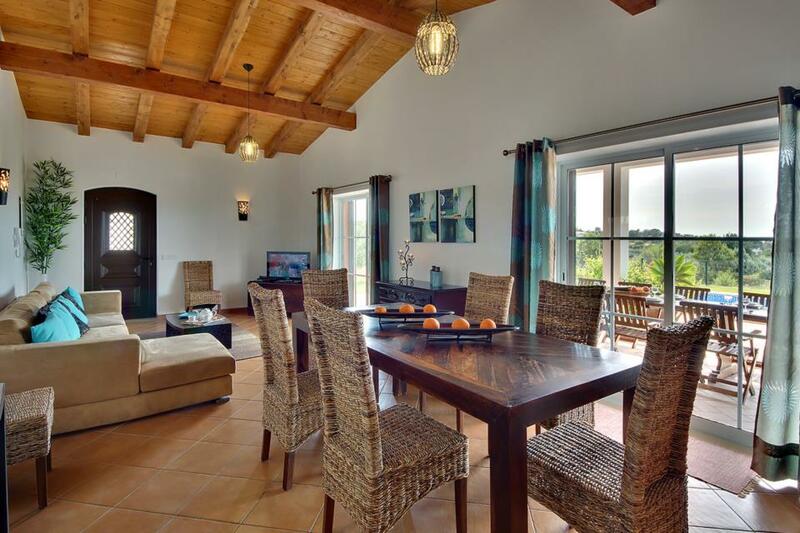 Villa was spotless, very spacious, both indoors and especially the pool area. The terrace was just amazing. Fantastic location with wonderful countryside views yet only a stones throw from some great restaurants and beach. Spar supermarket literally across the road. Kitchen very well equipped, so we ate in a few nights. I would highly recommend this villa and we will be returning.